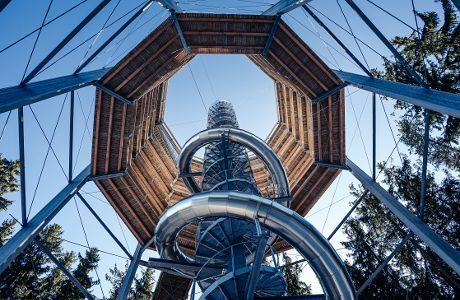 The first original treetop walkway in the Czech Republic! 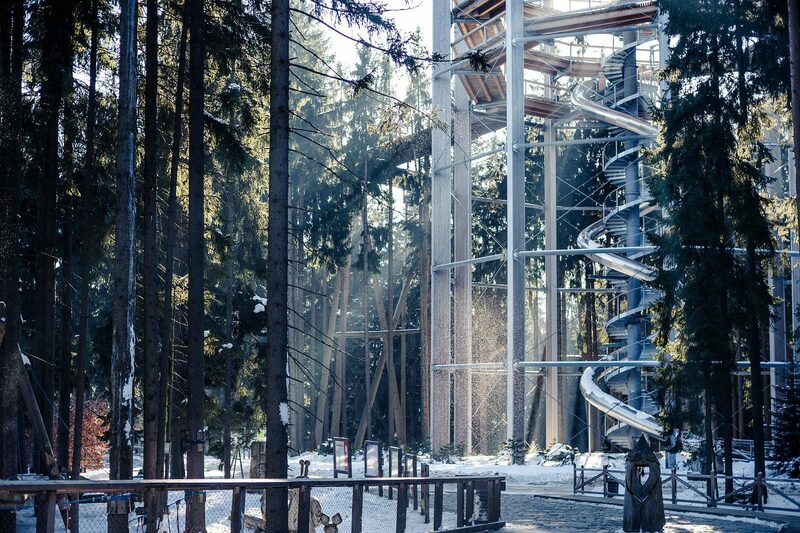 The 675 metres long walkway of timber structure is set in the mixed forest considerately. 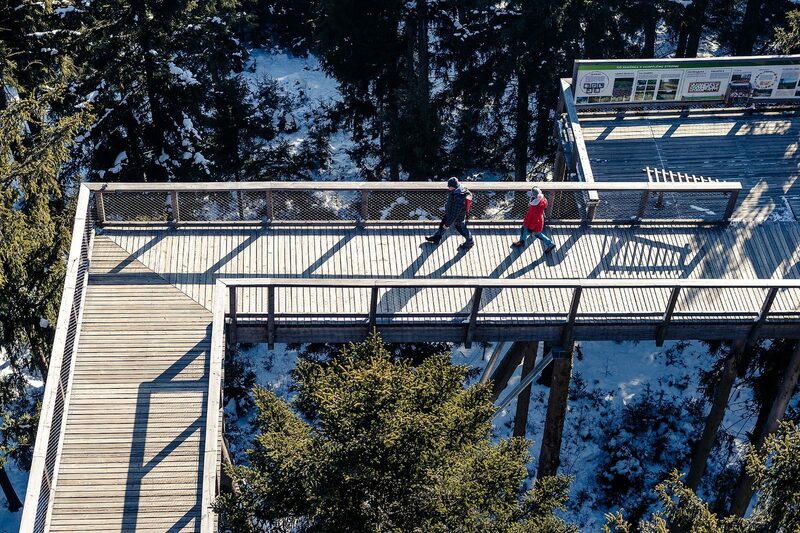 When climbing the wooden footbridge at the maximum of 2 – 6 % rise, you reach the 40 metres height and you experience the view of the surrounding wood from a very different perspective. The whole walkway is barrier-free and it is adapted not only for the trip with prams but also for the wheelchair users. 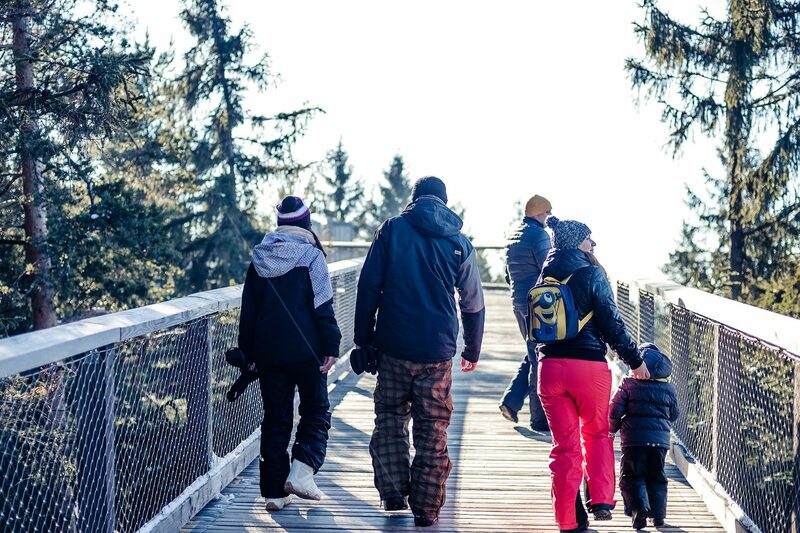 Due to its uniqueness, the Treetop Walkway Lipno is accessible to the most possible broad age bracket of the visitors. There are 11 adrenaline sections for children on the walkway. 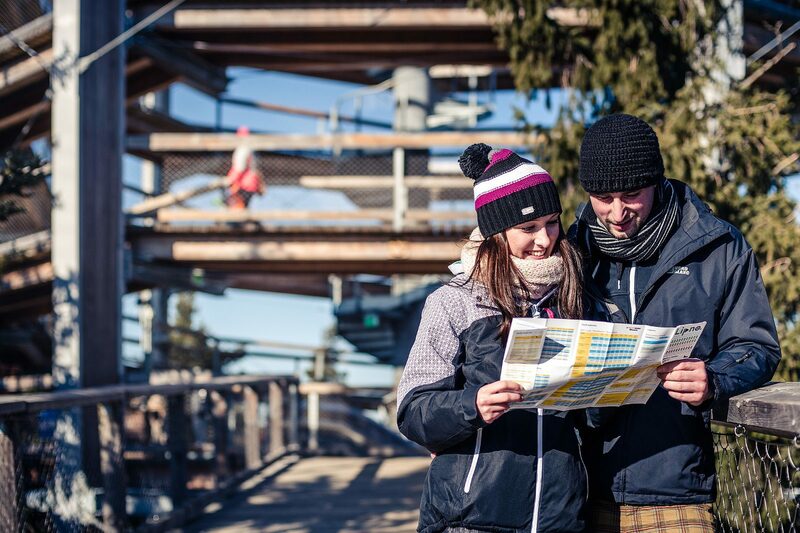 For going down the walkway you can either walk or use the 52 metres long dry toboggan. An adventurous but still safe walk on the footbridge is secured by the glued solid wood structure and 75 wooden support columns. The wooden safety rails and transparent side nets guarantee perfect safety and views. The timber structure is in harmony with the surrounding nature. 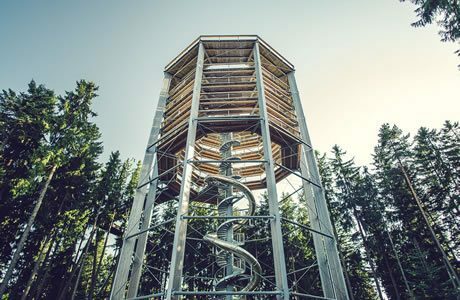 The Treetop Walkway is finished by the 40 meters high observation tower that is the genuine top of the walkway. 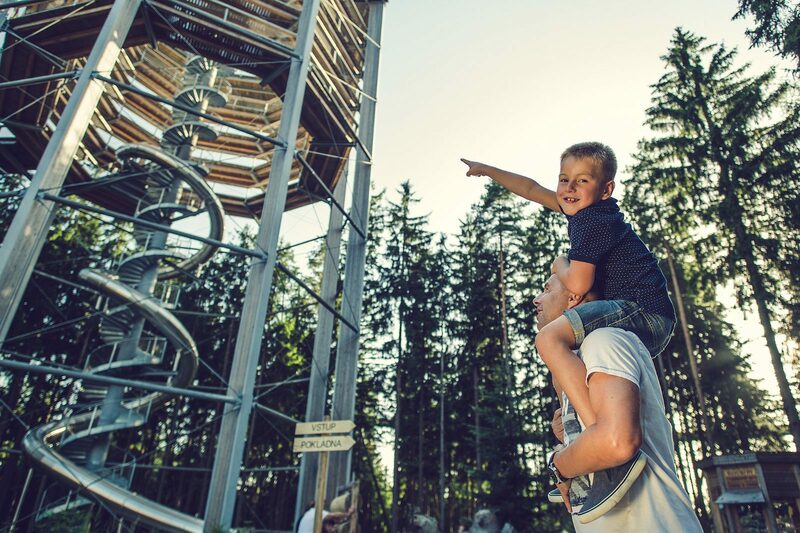 You will have a fantastic view on the peaks of the Alps, almost the whole part of the lake Lipno, gorgeous surroundings of the Bohemian Forest and Novohradske mountains. 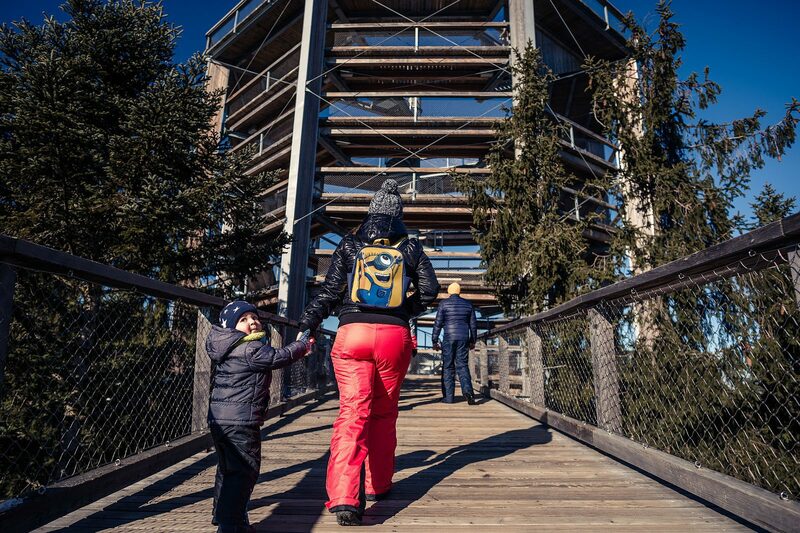 The climb upto the first observation floor of the tower in the height of 37 metres is barrier-free.